This week has been a real kick in the teeth, what with the polar vortex and my WINTER BOOTS THAT STILL HAVEN'T ARRIVED THANKS UPS and tonight I had to walk home in the rain, so I'm cheering myself up with my guaranteed picker upper: wine and cheese. Anyone else cheesing tonight? 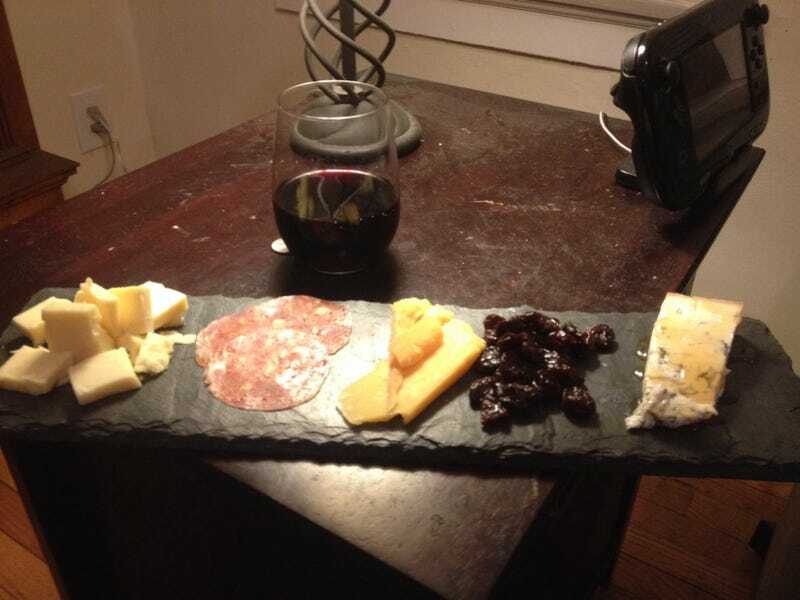 From left to right: Prairie Breeze cheddar, saucisson sec, L'Amuse Gouda (aged 2 years), dried cherries and Marca Oro Gorgonzola. Washing it all down with a beautifully medium-bodied cab from Girls in the Vineyard. Na zdravi, gorgeous Groupthinkers!